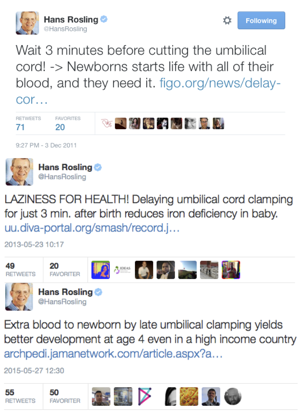 On three occasions, Hans tweeted about our research. Obviously, I was both surprised and proud that this occupied and certainly hard courted person had time to follow what we've done. Now he is deceased, lost to all of us, but especially of course for his family, friends and loved ones. There are many who have shared their memory of Hans Rosling during the recent days, yet I cannot help but share my thoughts with you. Hans always seemed to be curious, to phenomena in the world around us, curious on people, to figure out how the earth can be better place to live. The altruistic commitment he radiated, the commitment to spread knowledge, to help people, the passion to reach out, not to gain personal benefit, but for everyone's best. And then the word that Hans is said to have coined, and he was writing a book about: factfulness. To see past our own beliefs and prejudices. The ability to see the reality that is in front of us and to base our arguments on facts and not something else. This last has never been so important as today, when many of us so easily begin to listen to the populists and the prophets of doom, the Trumps and right extremes. 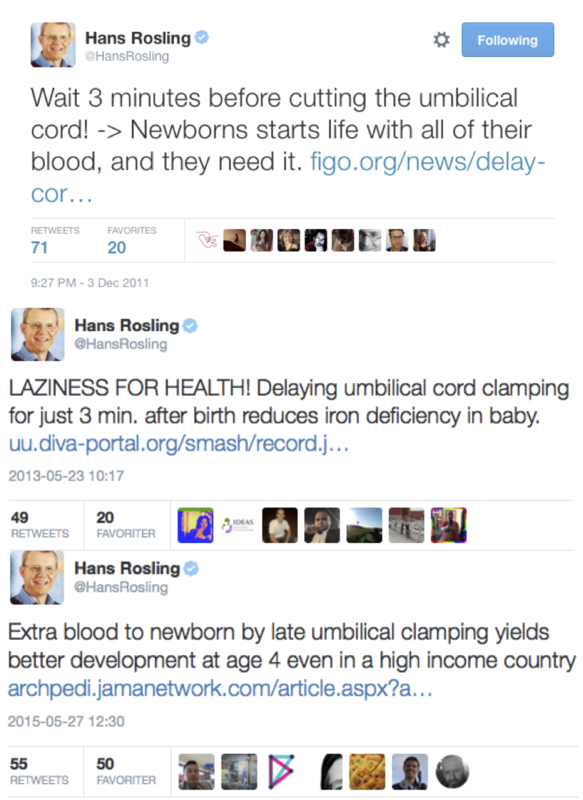 Others have written that Hans Rosling's voice was more important now than ever before. I guess what we really should say is that everyone's vote is more important than in a long time. When similar winds as from before World War II blows cold all around us, then it is time to join Hans Rosling disciples to become apostles: Start with a good dose of humanism and add thereto Curiosity. Commitment. And perhaps above all Factfulness. Thanks for all Hans. I will try my best to honor your memory.